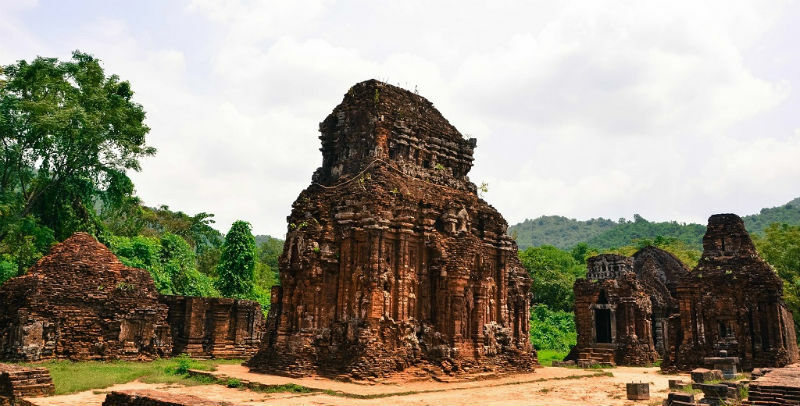 My Son Sanctuary is located in Duy Phu commune, Duy Xuyen district, Quang Nam province, about 69 km from Da Nang city and near the ancient citadel of Tra Kieu, including many Cham temples in a valley about 2 km in diameter, surrounded by hills. 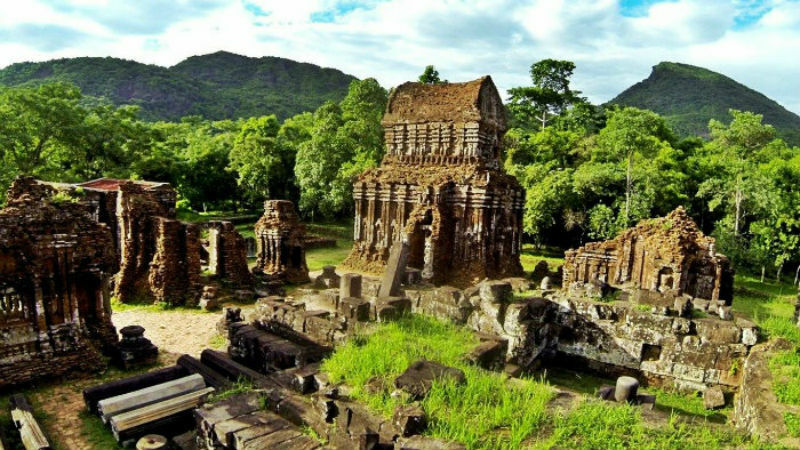 My Son Hindu Sanctuary, a UNESCO World Heritage Site, is a great sample of the ancient Champa civilization located in the southern part of Vietnam. It was an independent state from around the 2nd to the 17th century, at which time it was occupied by Vietnam. 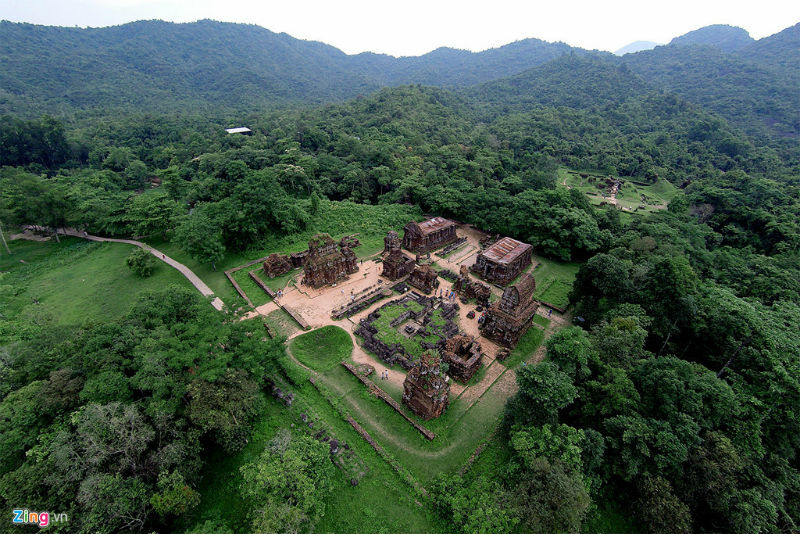 The impressive Hindu-themed ruins feature many beautiful stone sculptures, temples and towers in tropical jungle surroundings. My Son was also a political centre and a royal burial ground and the complex consists of more than 70 structures devoted to Hindu gods and goddesses and the most noticeable one, Shiva, was considered the protector of the Champa’s kings. Their skilful use of red bricks and sandstone is remarkable. Like many historic sites around the world, My Son was destroyed by time and wars and after lying neglected for a long time it was rediscovered and renovated by the French in 1898. 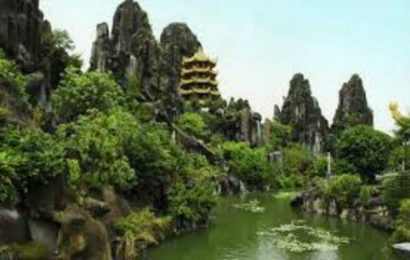 Sadly the most recent war did great damage to the complex as the Americans bombed this area knowing that the Viet Cong used it as a hiding place, mistakenly thinking that the enemy would not touch a holy site. However, the majority of the central complex managed to survive the bombs and parts of the ruins have now been rebuilt. Overall, this Hindu sanctuary reminds visitors of other similar sites in Southeast Asia including the great Angkor Wat in Cambodia. A must-visit for those who appreciate history. Opening Hours: All year round. 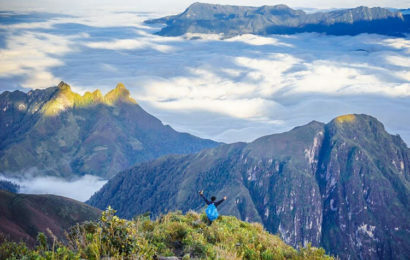 The best time to visit is early in the morning before it gets too hot and when it is not too busy Location: In a small valley in Duy Tan Commune, Duy Xuyen District of Quang Nam Province (about 70km southwest of Danang and 40km from Hoi An). 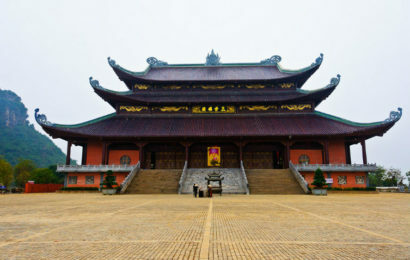 Beside My Son, you can come and see Linh Ung Pagoda in Bai But, Da Nang.